Location was prefect Laundry was very convenient to do laundry, the staff was very helpful with information on booking in. The room was clean, I really enjoyed my stay here. Close to the beach. The staff are very very helpful. Easy to arrange transportation with them. 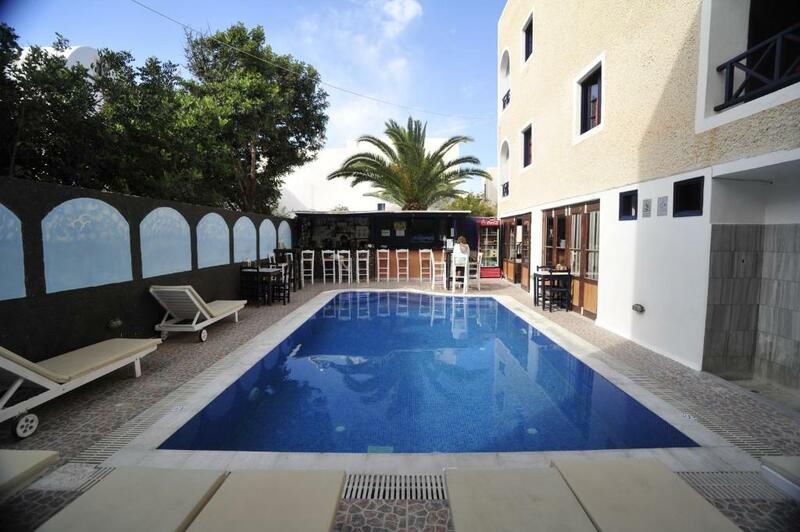 Basic accommodation with no frills... but location is excelling,the property is spotless and the staff are lovely. I would highly recommend as long as you don't expect 5 star!!!! The pool was nice but I found it closed really early. Other then that there wasn’t anything. staff couldn't do enough for us. super friendly. booked restaurants, trips and taxis for us. clean and beautiful hotel one minute from beach. *The property was really close to beach and short walking distance from bus station and a shop, which a scarse on the island. *Rooms are cleaned daily. Someone even washed my dishes, which was a pleasant suprise after a long day out. *Members of staff was extrimely helpfull and polite. Great place to stay, supportive staff and the neighbourhood helps as well. Very well. Clean, close to the beach, washing machine free usage, helpful staff, pool. 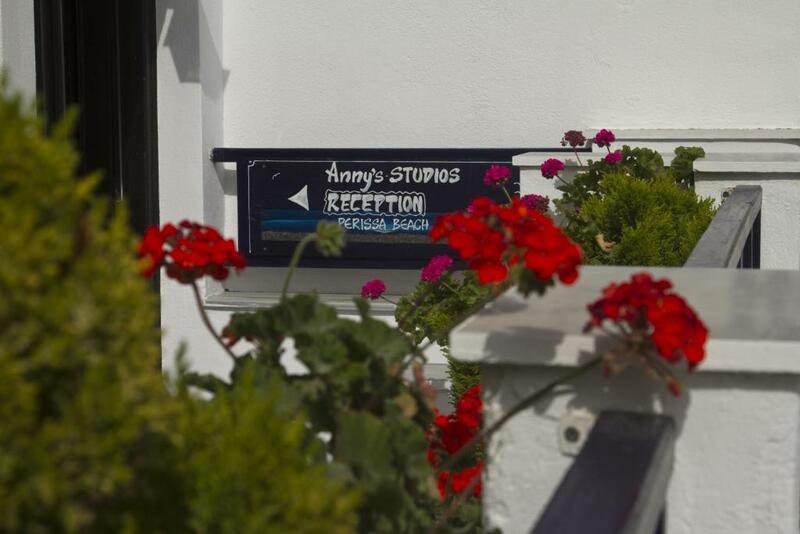 Anny Studios are located in the center of Perissa village, just 100 feet from the beach. The property features an outdoor pool and a poolside bar. Free Wi-Fi is available in the lobby. All air-conditioned studios open out to a balcony and include a satellite LCD TV and a safety deposit box. Each has a kitchenette with cooking hobs and a mini fridge. Breakfast is daily served at the property's dining area. Watersport facilities, restaurants and bars can be found within a short walk. Athinios Port is at 6.8 mi and Santorini International Airport is around 8.7 mi away. 뀐 Located in the top-rated area in Perissa, this property has an excellent location score of 8.6! When would you like to stay at Anny Studios Perissa Beach? 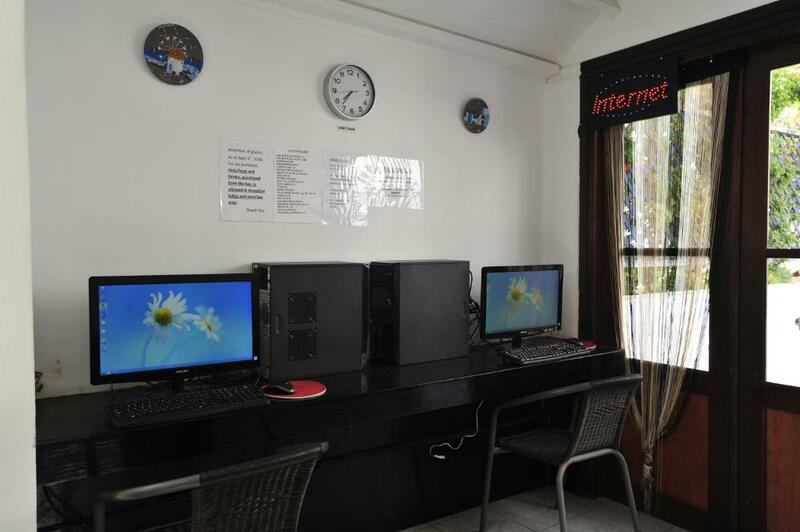 Featuring a private balcony, this air-conditioned studio comes equipped with a satellite TV and kitchenette. This studio has a balcony, barbecue and air conditioning. Please note that this studio offers no view at all. House Rules Anny Studios Perissa Beach takes special requests – add in the next step! Anny Studios Perissa Beach accepts these cards and reserves the right to temporarily hold an amount prior to arrival. Please inform Anny Studios Perissa Beach of your expected arrival time in advance. You can use the Special Requests box when booking, or contact the property directly using the contact details in your confirmation. The room seemed packed with furniture, not much room to open out my suitcase, I had to put my suitcase underneath the dressing table. Too hard to find. Especially at night. Starting to look run down and needs a make over/refurbishment. Great location, so close to Perissa. The staff were very helpful and good amenities. Apartment is much smaller then anticipated. Decor was very dated and sheets and towels had marks on them upon arrival. Very used sponge provided for dishwashing, bathroom basin cracked and discoloured, shower head discoloured, toilet button green stained, room had a strange smell that we could not get rid of, oven rusted. Proximity to beach. Washing machine available. Mattreses were very hard & unconfortable. Propose to replace it with softer one. Owner & stuff very friendly and cooperative. Terrible experience the hand soap was rotten made our whole room smell like rotten eggs. The staff were rude argued with me multiple times as I was just asking simple questions. They don’t allow guests in your room even if they live in another room in the hostel. Beer from the tap was all foam and they expect you to drink and pay for it. *There was no TV durring all my stay due to some kind of technical difficulties, even thought property was advertised as having a sat television avalable. *I could hear my neigbours talking. Air conditioner in room was too noisy to use.